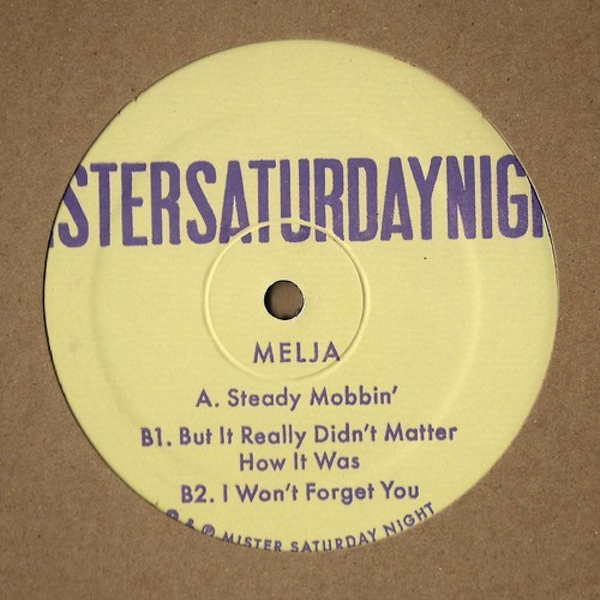 It’s been over six months since we released original music on Mister Saturday Night Records. We’re making up for lost time by releasing two records at once. The first, above, is an EP from a music-maker that we’ve admired from afar for a long while – Nebraska. His 2011 album, Displacement, is a longtime Mister favorite. About a year ago, we started to wonder, “Where is this Nebraska guy?” He hadn’t released any new music since the LP, and we wanted to hear more. We searched high and low an found his contact. When we got in touch, he responded by paying us a visit at a Mister Sunday, bringing us a couple pieces of vinyl (one of which made its way onto Eamon and Justin’s Weekends and Beginnings Mix) and, thankfully, sending us a steady stream of unreleased music. A couple of those songs have become regular dance floor contenders, and we’re very happy to say now that we’ve cut them to wax, and we’re officially welcoming Nebraska into the Mister Saturday Night family. The second album is from Gunnar Haslam, a Mister alumnus who released the first and only ten-inch on the label. This is his first twelve-inch for us. The loud cuts on the vinyl do these tracks proud. A bit more charged than his previous output for us, this EP, Margareten, is as heady as usual, but it aims straight for the dancefloor all the same. You can listen to clips down below. Both EPs are out now. You can get them on the Mister Store. Yesterday Justin dropped in to Duane Harriott’s WFMU show, The Duane Train. The two chatted, and Justin played music, some from a digging session at Snickars Records in Stockholm and then some new and unreleased stuff from friends (Floating Points, Nebraska, Whities Records and Luaka Bop) as well as unreleased, upcoming music on Mister Saturday Night Records (Archie Pelago and General Ludd). This is Justin’s DJ set. If you want to hear the whole show, complete with interviews and selections from the ever excellent Duane Harriott, head this way. 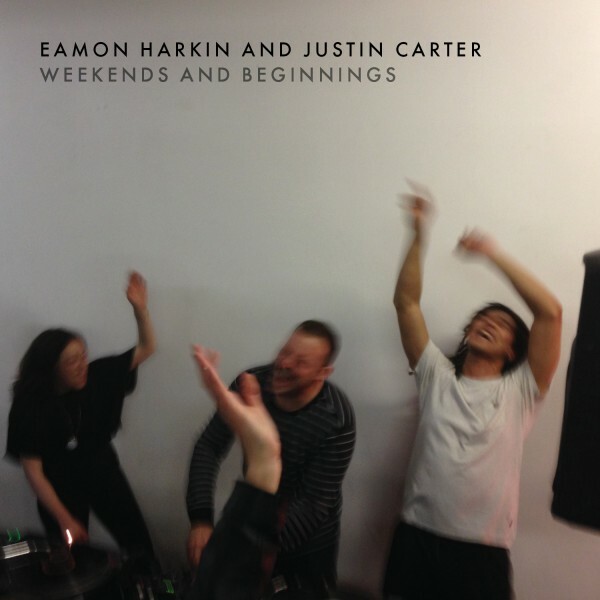 Mister Saturday Night Records is releasing a special mix by Eamon Harkin and Justin Carter called Weekends and Beginnings. It’s an 18-track mix that was recorded live at Mister Sunday in late August. It’s out now almost everywhere (except for Japan, when the release date is December 10th). You can buy physical copies at the Mister Store and, if you’re on the other side of the pond, from our friends at Phonica. It’s also available digitally on iTunes and such. **The songs with the stars are only on the CD version of the mix. Everything else will be available on the digital version. We’ll also do a vinyl sampler of select cuts in January. Melja is Nathan Ifergan, a producer from Maisons-Alfort in France. Too young to attend our nighttime parties on his last visit (sorry, dude), he came in contact with the world of Mister Saturday Night at Co-Op 87, a great little record store in Greenpoint. Inspired by what he heard on wax, he made three jams that fit perfectly into the party. Eamon and Justin have been caning them for months. They work every time. The EP lands September 22nd. You can pre-order it at store.mistersaturdaynight.com. Previews are down below. Brothers and Sisters, the first full-length album on Mister Saturday Night Records, is out. The album is a summary of the sound of Mister Saturday Night Records to date. It brings together all the artists who’ve released on the label – Alex Burkat, Anthony Naples, Archie Pelago, Boya, Dark Sky, General Ludd, Gunnar Haslam, Hank Jackson, Keita Sano and Lumigraph – combining music made specifically for this record and tracks that have until now only been available on vinyl. The album is available as a two-CD set, and all the previously unreleased tracks from the album are available as a triple-vinyl LP. You can buy both versions, as well as a special package with the triple-LP and all the twelve-inches in our back catalog, on the Mister Store. The album is also available on iTunes and at all other good digital outlets. A preview is below.